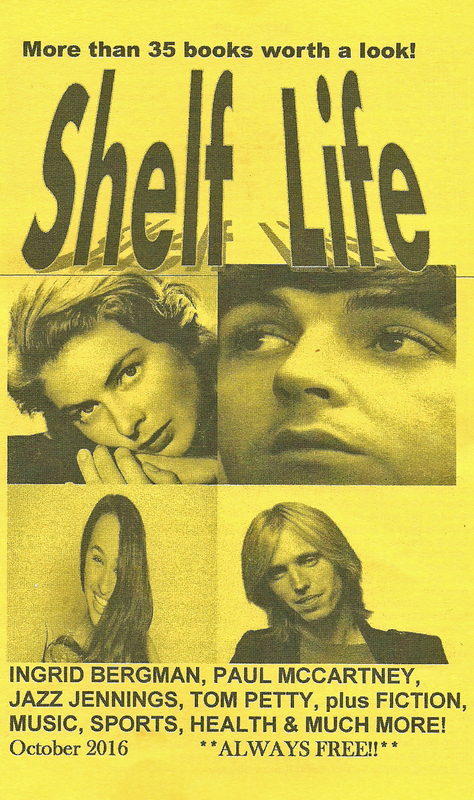 I often get questions about how I choose what books will be reviewed in Shelf Life. Why aren’t certain books featured and some others included that are not as popular? Good question. I am sent catalogues from the publishers about five or so months before the new book release season. From them, usually the most interesting books are selected for review. There are so many books that it is really hard to narrow down the selection sometimes. I wish there was more space in these issues and more time to read but alas ihat is not a current luxury. I like to choose not only popular titles but also books that are not receiving the media attention they deserve. First time novelists are always a joy to read because all great writers have to start somewhere. Shelf Life will strive to continue this policy and tradition, of bringing all types of books to your attention. We hope you will be pleased by the diversity of such choices. Every year it gets harder to believe just how fast time flies. Here it is September once more. Summer passes way too fast as we all know Winter seems to drag on indefinitely. We hope that your Summer went well and that you all go in some quality vacation time. But with the fading of one season into the next comes more time hopefully for reading the books that interest you the most. As always in our issues, we strive to give you a variety of reading options to help you decide which books you want to dive into, in a manner of speaking This issue is no exception with something we hope for everyone. As always, we love hearing from you and geting your comments on our reviews and the issues in general.